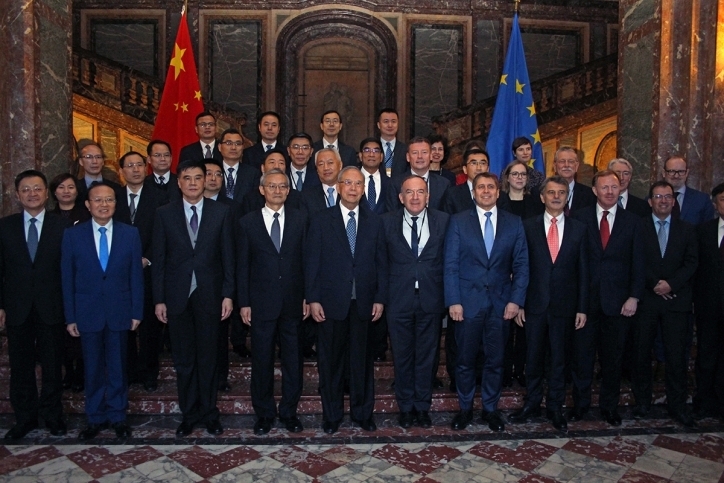 BusinessEurope and China Center for International Economic Exchanges (CCIEE) and co-hosted the Second China-EU CEO and Former Senior Officials’ Dialogue in Brussels on November 29-30, 2018 to discuss the outlook of China-EU economic relations and opportunities for bilateral cooperation in the areas of trade, innovation and connectivity. The world is undergoing a new wave of profound transformation and rebalancing which will bring more volatility and uncertainty. The participants under the leadership of BusinessEurope and CCIEE discussed ways of effectively addressing these uncertain times and ways in which China and the EU can cooperate and bring common answers to global problems like protectionism and unilateralism. BusinessEurope and CCIEE voice their strong support to multilateralism and a rules-based trade that is more open, balanced, inclusive and mutually beneficial. The WTO, as the guardian of trade rules, stands at the centre of a multilateral system that aims to promote an open, rules-based and fair-trade environment against policies that lead to discrimination and protectionism. In this regard, the WTO is indispensable to help businesses source, produce and sell products and services across the globe equitably and competitively. Open, rules-based and fair trade also creates positive externalities for business, consumers and workers alike. Both agreed that closer cooperation in WTO reform is of great significance. BusinessEurope and CCIEE agree that in such areas as trade and investment, industrial cooperation and global governance, especially climate change, China and the EU have great potential to further develop bilateral relations. In this context BusinessEurope and CCIEE consider important that China and the EU Should conclude an ambitious bilateral investment agreement, delivering positive outcomes for their business communities and send out a positive message to the international community. BusinessEurope and CCIEE support closer and stronger links between Europe and Asia and encourage synergies between the EU’s Connectivity strategy and China’s Belt and Road Initiative to enhance cooperation in China-EU cross border infrastructure projects, including the Pan European Transportation Network, and promote “hard” and “soft” connectivity through compatible marine, continental and air transport, energy and digital networks. In working to improve connectivity between Asia and Europe, China and the EU should focus on economic, social, fiscal, financial and environmental sustainability, through transparent, non-discriminatory and open procedures. BusinessEurope and CCIEE support stronger cooperation in research and innovation between the EU and China. This cooperation should be mutually beneficial, based on reciprocal access to funding or co-funding and respect intellectual property rights. BusinessEurope and CCIEE believe that the China-EU CEO and Former Senior Officials’ Dialogue has played a positive and constructive role in promoting China-EU economic and trade relations. The next dialogue will take place in Beijing at the appropriate time in 2019.